Nurse aides in Maine must obtain a listing on the Maine CNA Registry in order to work as certified nurse aides. As a prospective CNA, the only way to get listed on the registry is to provide proof of formal CNA training that meets the guidelines set forth by the Department of Licensing and Regulatory Services (DLRS). Employers must verify a prospective employee’s standing on the Maine CNA Registry before extending an offer of employment. However, state and federal laws will let you work as a CNA for 4 months in a long-term care facility under the provisions of a temporary listing. 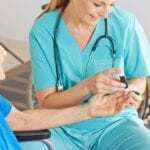 The DLRS requires licensed home health care agencies, long-term healthcare agencies, hospitals, adult day care programs, personal care agencies, and assisted living programs to prohibit employment to nurse aides not listed on the state registry. The prospective employee must have an active status on the registry, which indicates a CNA in good standing. Apart from maintaining a record of active CNAs, the registry responds to queries from employers and individual CNAs, uses an annotation system to identify denied and inactive CNAs to protect public health, provides support for CNAs, and identifies post-training opportunities for non-traditional CNAs. The State Board of Nursing in conjunction with the Department of Education monitors and approves programs that provide a minimum 180 hours of training. A Registered Nurse, by law, must supervise and present the course content. The board’s prescribed curriculum allocates 90 hours for classroom instruction, 20 hours for skills lab and 70 hours for supervised clinical practice. Program instructors cannot teach skills beyond the skills outlined in the curriculum. Please refer to the list of state-accredited programs below to ensure you enroll in a program that meets the state’s requirements. The department has the right to refuse your application for testing if you do not graduate from a state-accredited program. There are many CNA training providers across Maine including several community colleges, universities, vocational schools, technical colleges and allied health institutes. The cost of training varies depending on the type of school and could fall anywhere between $400 and $1200. It’s crucial that you work out all the associated costs before enrolling in any program. Financial aid is available through a few programs for financially challenged individuals. Also, if you secure employment as a CNA within one year of certification, you may be eligible to receive reimbursement for your training costs. The state’s CNA competency test comprises of a two-part evaluation: the written or oral component and a skills demonstration test where you’ll have to demonstrate at least five learned skills. The Department of Education manages the testing centers through the Maine Career and Technical Education (CTE) division. There are 27 testing centers and regions. The state evaluation costs $45 for both the written and skills test. Maine makes a temporary listing provision for CNAs to work for 4 months at a long-term healthcare facility. This temporary listing on the registry hinges upon your forwarding documented proof that you successfully completed an approved training program. Out-of-state CNAs can request the temporary listing pending completion of the Bridge Exam. If you’re an out-of-state CNA, you must submit the following to get listed on the Maine Nurse Aide Registry. 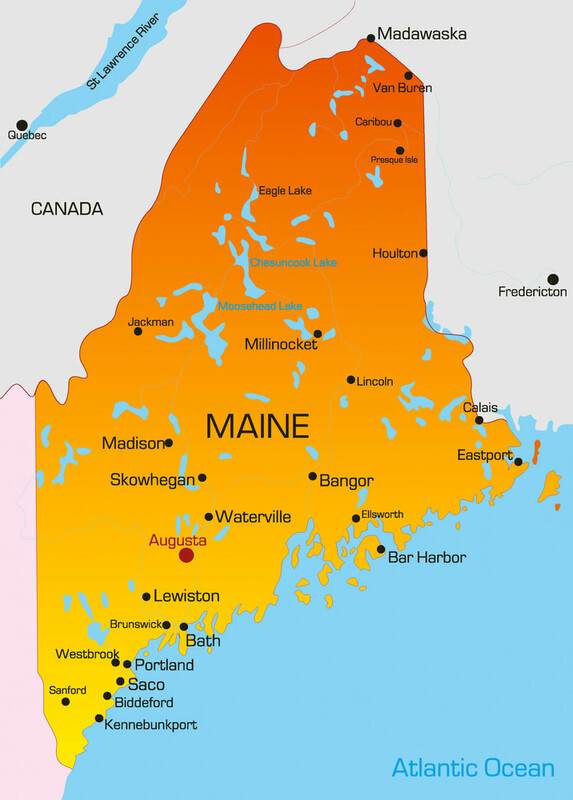 No criminal convictions and complaints that could prohibit employment within Maine. Once you submit an application for registry listing, it takes up to 30 days for approval and eventual placement. The administrators will send a letter of confirmation, and you can also visit the registry’s web-portal to confirm your placement online. To maintain your listing, you must complete a minimum 8 hours of employment every 2 years and renew your listing every 24 months. Employers will prohibit employment if there are disqualifying annotations attached to your listing.